Mine is not a gatefold album, but it is certainly this number. I suspect the information is wrong, or I may have a strange variant of the cover. The quality of the cut is stellar, and it contains the evasive "Homburg". 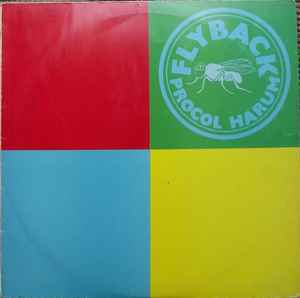 In my humble opinion, apart from the exclusion of "A Whiter Shade of Pale", this record has successfully found some of the best of Procol Harum! I'd highly recommend grabbing a copy, even if only for a very nice quality version of "Conquistador". Not sure how exactly I got this in Indiana (United States), but it sais it was manufactured under license in Holland by Bovema EMI, and it has dutch (I think?) on the label on the record itself.